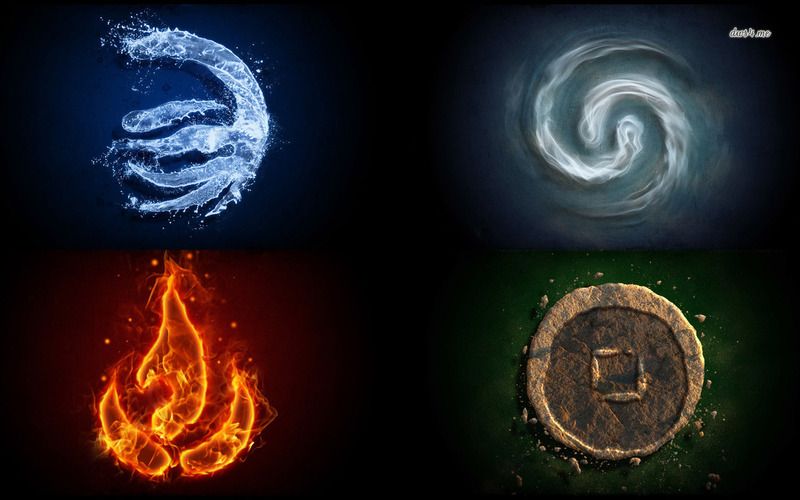 What we have here is a collection of ramblings regarding how various elemental defenses work, and interact with each other. Why? Consider it a refresher, if you will, as to what protection works when and how, which will better enable you to prioritize which type of protection is more or less important at what part of your adventuring career. Image used without permission, but only because it’s awesome. Hopefully, I don’t get sued. Having a full concept of how the various defenses are applied can be greatly beneficial in strategic planning, as which one is important (or effectively useless) varies dramatically depending on what point in your career you happen to be at. Protection from Elements (either a single specific one, or the spell of the same name, which provides all five in one shot – a very worthy investment) absorbs 12 points of elemental damage per caster level, to a cap of 120. However, it must be kept in mind that this ablative form of elemental defense is applied before any fixed resistances – thus, even if you have Fire Resist 30, if you stand in lava, you’ll watch your Protection from Fire bank tick down to zero quite rapidly, even though it would have been blocked before it hits your red bar. At first glance, this might appear to be “useless.” At low levels, it might seem to be, when elemental damage doesn’t come in large numbers for the most part; a Fire Resistance 10 might be more valuable in the course of a dungeon than constantly reapplying 24-36 points of Protection from Fire with an expendable resource. But we’ll spend more time on the applied theory later. What resistances are worth having are largely subjective and lean very heavily on play style – personally, I value them in order as Fire (all hostile arcanes, divines, and primals can cast offensive fire spells, lava is prevalent, as are fire traps), Acid (coupled with Fire can mitigate or eliminate the threat of Burning Blood, and Melf’s Acid Arrow/Black Dragon Bolt are both silent killers), Cold/Electric (even money on both, depends largely on content), and lastly, Sonic. If I only have one resist, it’s fire, and the highest I can find for that level. Elemental Absorption acts as a last-ditch effort to mitigate incoming damage, after all other sources have been processed, and there is still damage left to account for. This is a pretty simple calculation – whatever damage is remaining, a fixed percentage (stated with the absorption effect) is removed from the damage, and then applied to the hit point bar. That’s All Well And Good, But What Do I DO With It? Applying the theory to the best effect, however, is best done with a few examples and numbers. As none of the above three defenses are “utterly useless,” it’s more a matter of what is more effective when than which one to use/ignore.. but such complexities are always easier to illustrate in concept, rather than shoving a logic sequence down your throat. Note: For the purposes of these illustrations, we will be assuming 0 MRR.. as that would overcomplicate the core concepts being presented. Bob is wandering along as a low-level character, when suddenly, oh crap, I forgot about that trap happens and a gout of fire spews out from a nearby pillar. Luckily, Bob drank a Protection from Fire (6th) pot earlier, while Jim drank a Potion of Fire Resistance (10) at the same time. Both have, let’s say, 85 hp for argument’s sake. 6th level Protection from Fire negates the first 72 fire damage, leaving Bob with 32hp. Jim’s Fire Resistance negates the first 10 damage, leaving him a soul stone at -30hp. A few levels later, Bob and Jim are wandering about and get ambushed by a series of casters who have a penchant for that most lovable of spells, Melf’s Acid Arrow. By this time, Bob has upgraded his pot collection to include a Protection from Acid (10th) vial, while Jim has a nice little Acid Resistance 20 item equipped. Melf’s Acid Arrow deals 2d4+10 (12-18) acid damage, then repeats every 2 seconds for 12 seconds (7 hits total). This example is assuming base spell damage (totally not a real-world scenario, but it’s for illustration only) and on Normal difficulty. Assuming all rolls are the minimum of 12 damage (lolz), Bob’s 120 points of protection are wiped out in a total of 10 ticks. Given the number of incoming Acid Arrows, Bob might want to start panicking before he gets eaten alive by DOTs. Meanwhile, Jim absent-mindedly picks his nose, because even at max damage (18), it’ll never break through his 20 points of flat Resistance. Jim was lucky enough to pull a set of Frostproof Leathers (10%) from a chest before taking on the legion of Ice Spiders in Misery’s Peak. Thinking he’s covered, he charges in, only to get blasted into oblivion by the illusion of defense. Bob and Jim are a little more savvy, these days. Both are packing Fire Resistance 30 items – Jim on a ring, and Bob on his flashy new Firebreak plate mail which also has 20% absorption on it, which of course Jim mocks mercilessly after his encounter with the Ice Spiders and absorption’s complete lack of effective help whatsoever. During one of these mockeries, they both happen to get caught unawares by a brutal Flame Strike from a champ druid. Bob takes (350 – 30) = 320 – 20% (64) = 256 damage, grabs Jim’s soul stone, and retreats to regroup. o 480 – 30% (144) = 336 total fire damage. The ranger takes… 650 fire damage. Ouch! I don’t want this to sound like it’s claiming Evasion is useless – nothing could be farther from the truth. However, it’s nice to survive when you roll a 1.. and it’s bad practice to rely that you’ll never roll a 1 until you get Epic Reflexes. Nor am I picking on rangers.. especially since rangers can innately cast both Resist and Protection. It IS, however, making fun of folks who rely exclusively on a single layer of defenses and occasionally get facepasted as a result. Also – Polar Ray doesn’t have a saving throw, at all… let that sink in for a moment. The simplest answer to the question of “what’s the best elemental defense?” isn’t actually simple at all. As you can see from the above illustrations – all of the archetypes of which I’ve seen happen on many an occasion in actual Elite gameplay – all suggest that there is no single, clear-cut answer. Which one is best depends very heavily on where, what, and when you need it. Resistance is going to serve you better for repeated exposure to low-to-moderate levels of damage, while Protection is going to serve you better as insurance against a single massive hit.. although, as with most insurance policies, you’ll have to keep paying the premiums by re-applying it. Absorption may not make much of a difference until the Eveningstar range of Heroic levels and Epic play, but once there, can make the difference between life and death. As with many things in DDO, it’s all fluid and layered – but hopefully, this will at least give you a better idea of how the river twists and turns. Nice laid out! Although as that ranger, I have to point out that Velah will breathe again, Bob will have used up his protection and take over 450 damage while the ranger avoids rolling a 1 and takes none. Zero. Pingback: DDOCast 396 – The Forums « DDOcast – A DDO Podcast!